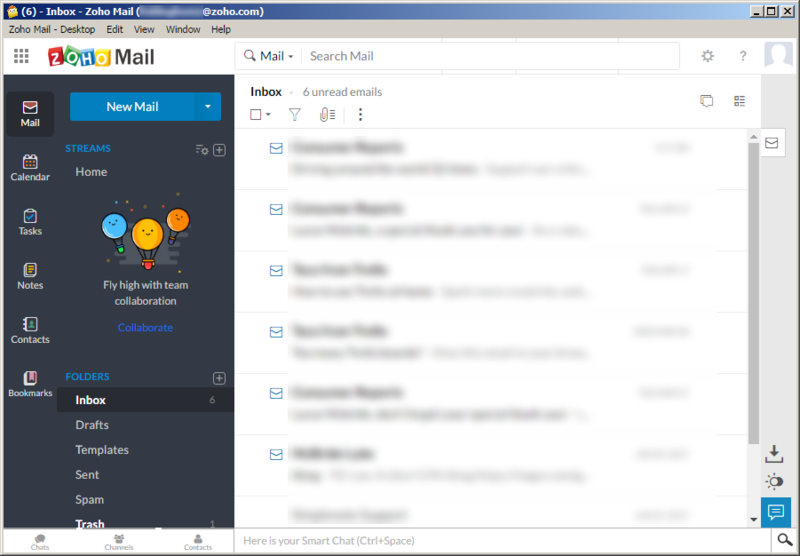 So Zoho put out a local desktop mail client. If you're familiar with the way application development has been going lately, it won't surprise you to learn that it runs on the Electron format. In short, this means it runs on top of a streamlined version of Google Chrome, which lets it be cross-platform and easily built from existing web development tools, but that it's going to be very resource hungry. Zoho in particular took up 142 megs of disk space once I'd logged into my account and, while running, took up about 150 megs of RAM across two separate process.